England’s health watchdog launched its service to speed the delivery of new technologies in October 2015. Policy coordinator Bruce Smith explains how the new Office for Market Access is impacting medicines uptake. These are exciting times for the UK healthcare market. With the advent of the Accelerated Access Review (AAR) and the Early Access to Medicines Scheme (EAMS), the government, pharma companies, professional bodies and advocacy groups are coming together with a real drive to make sure patients get speedy access to the latest, most effective technologies. Such rapid advancement brings new challenges. Health technology providers are having to move faster while still following the arduous track that is the UK market access landscape. With a wealth of experience in health technology evaluation the National Institute for Health and Care Excellence (NICE) has set itself as navigator to help providers get across that finish line. NICE’s Centre for Health Technology Evaluation has long facilitated patient access to new and effective treatments, evaluating promising devices and diagnostic technologies. In October 2015, NICE bolstered these efforts by introducing the new Office for Market Access (OMA). This one-stop shop is the first port of call for life sciences companies wanting to discuss current and future products, from those early in development to those ready for market adoption. Put simply, the OMA helps the life sciences industry optimise the journey through NICE. NICE’s OMA is closely aligned with the AAR which is aiming to speed up access to innovative medicines, devices and diagnostics for NHS patients by focusing on the development-to-adoption pathway. Heading the team is Associate Director, Nina Pinwill, who has extensive experience from her secondment as a policy lead on the AAR. The priority for OMA now is to open dialogue with the life sciences industry. Throughout this year the team will be at events and conferences, speaking directly to companies and relevant stakeholders to raise awareness of its services. To help meet challenges of such a broad market, the OMA offers a range of services that meet an individual company’s needs. In the first instance, OMA answers enquiries and directs users to other relevant organisations where necessary. These initial services –provided free of charge – help companies navigate NICE and the broader development-to-adoption pathways. Should more detailed and specific support be required, the OMA offers a range of bespoke, tailored services. The wide spectrum of companies in the life sciences industry, from multi-national pharma firms to newly-established medical technology companies employing just a few people, means needs vary. Prior to launch, the OMA consulted with trade and other life sciences organisations on what approaches would offer the most value and opportunity. The industry was broadly supportive of the proposals, providing valuable feedback, which has helped shape the services offered. These services will evolve and adapt according to the products and companies that engage with the OMA. Each interaction is designed for the individual customer – an approach that is working well to date. Once companies have told us some brief information about their product or enquiry (via the online form on the NICE website), a member of the team gets in touch to discuss details or set up an introductory meeting. In these meetings we explore the issues in detail then the team goes away to identify bespoke solutions for each situation. The work can vary from simply taking companies step by step through NICE methodology, to comprehensive product portfolio reviews, to hosting confidential ‘safe harbour’ meetings with multiple stakeholders. The aim is to help companies identify the most appropriate journey for their products and make sure they are ready to tackle any potential strategic issues along the way. With the OMA, NICE hopes to speed up the adoption of innovative and cost-effective health technologies by helping companies to get the right evidence, develop a better business case and engage with the right people. More information about the OMA can be found on the NICE website at www.nice.org.uk/oma. 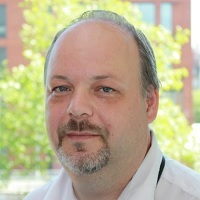 Bruce Smith has worked at the National Institute for Health and Care Excellence for three years. Starting in Technology Appraisals, and working briefly in Adoption and Impact, he is now the Policy Coordinator in NICE’s Office for Market Access.